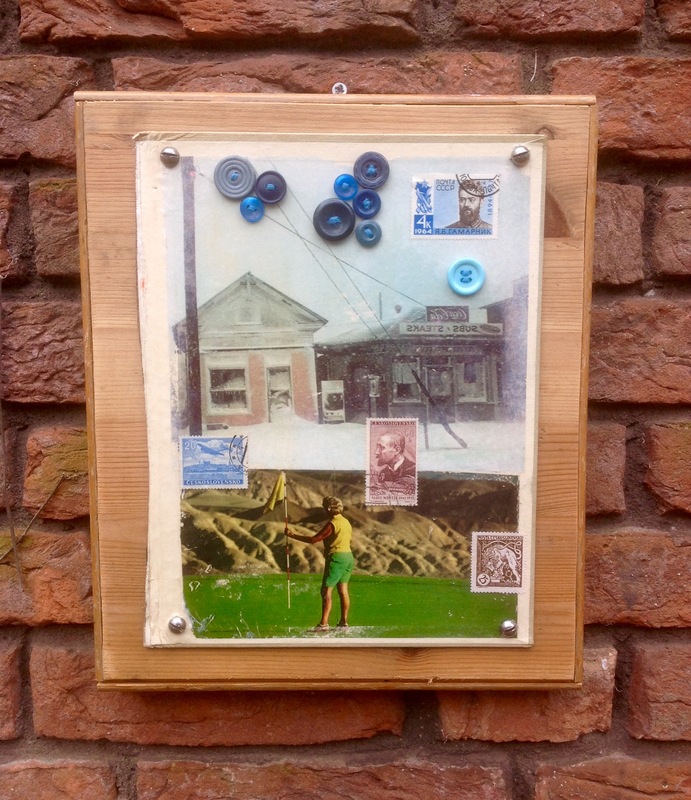 Pigment transfer on hard bookcover and wood with buttons, stamps and varnish. Screwed on wood. (30x35cm/12x14inch).